P Truro was initially visited by English Pilgrims in 1620, who found Wampanoag Indian corn and freshwater ponds to slake their hunger and thirst, before moving on to Plymouth, Massachusetts. Settled by English colonists towards the end of the 17 th Century, like other towns on the Outer Cape, Truro became a center for whaling and fishing. Shipbuilding also formed part of Truro’s early industry. —The Highland Light, built in 1797 to guide sailing ships to safety, was the first lighthouse on Cape Cod. Battered by winter storms, it was rebuilt in 1857, and remains a beacon to mariners. 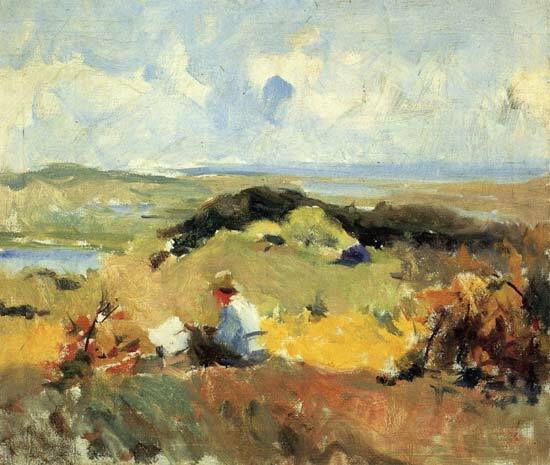 — By the end of the 19th Century, artists were experimenting with open air painting on the dunes. Drawn by Truro’s subtle light and sweeping views of the ocean and the bay, the town became a center for the arts.